Following on from an interesting discussion I was having a few days ago, I’ve been thinking about stories where the key protagonist dies at the end of the book. Always a controversial way to end a storyline, it can be downright book-at-the-wall territory. I’ve been wracking my brains to think of books where this happens, but a number of films immediately came to mind, such as American Beauty and Sin City (where the cop – Harrigan? – kills himself at the end to save Nancy). As it happens, I did read Mark Lawrence’s ‘Emperor of Thorns’, last in his three books series. If you have not read this and want to – LOOK AWAY NOW! In the third book the narrator Jorg (and this is all first person) kills himself so that he can find and save his dead older brother in the worlds beyond (and save the world). The final sections are written by a ‘data-ghost’ of Jorg created by the ‘machines of the builders’. In terms of plot construction and narration, it’s a tricky balance, trying to withhold enough information so the end is not telegraphed. I guess this is in the territory of the ‘unreliable narrator’. Although I don’t really enjoy these types of endings, as long as the central character stays true to their initially sketched nature and goals, I’m willing to accept them. So where do you come down in the debate? Can anyone out there think of a book where the narrator dies? PS: On 9th and 10th November I’ll be at Brisbane Supanova with a whole bunch of copies of Calvanni, Scytheman and Sorcerer, hot off the press. Come and say hello. You can also find them at on-line retailers like Amazon. I’m pleased to announce that my fantasy series, the Jakirian Cycle, is finished! All the last edits are done and it should be hitting both the real and electronic shelves around October. It’s exciting to have completed the trilogy, and it will be great to end the wait for those who started the series with The Calvanni, either in its 2006 Australian print incarnation or its later 2009 electronic version. One of the things I grappled with Jakirian Cycle (typical of fantasy series) was the considerably wide scope of the story. Without giving too much of the plot away, at the start of The Calvanni the Eathal – the cavern dwelling cousin-species to humans – are launching a major offensive on the remnants of a once vast human Empire. But this is very much in the background. 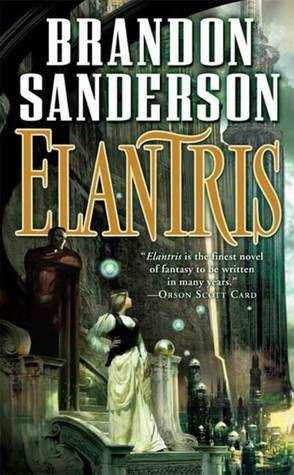 In the first book the central characters are struggling to survive amid civil strife and assassination attempts (Ellen), while dealing with the emergence of their own unique magical powers (Cedrin). In the second book, the first major engagements are taking place between the Eathal and the last few human Legions, but the focus is still on the characters and their personal journeys and the mystery of the Scion (the lost heir to the fallen Empire). In Sorcerer – third book of the trilogy – the clash of human and Eathal occurs on a massive scale. Tens of thousands of human and Eathal troops are fighting across two major fronts. From the PoV of the central characters, they are being drawn more and more into the centre of power in Yos. Both Cedrin and Ellen find themselves right at the core of the reestablished Bulvuran Empire. Amidst all this are the various Warlords who divided up the fallen Empire. The most powerful of whom is facing the Eathal in southern Yos while being heavily outnumbered and under strength in the magical department. To do justice to this, I needed to make that Warlord a PoV character, and needed to portray these major engagements. Various subplots that have been in the background since the first book all come to the fore in Sorcerer. All of this led to the introduction of a lot of new characters. Each is important to the story in some way, but most are not central or point-of-view characters. Trying to control this crowd, and do them justice was certainly a challenge! Numerous times I’ve had to scramble back through the book and insert a few key paragraphs. ‘Oh, Damn! Such-and-such was still with Cedrin in that scene.’ or ‘Oh, crap. Where were they when that combat was happening?’ I need to keep them in the picture, but without diluting the thread of the main character too much. There were so many of these minor characters it really proved a teeth-grinding experience. Oh for a simple story! I am my own worst enemy with this. Yet with book three I also tried to lay the foundation for the ultimate conclusion of what might extend to a possible six books series. Don’t worry – Sorcerer ends with a great climax and the first three books stand as a trilogy. If you love battle scenes, Sorcerer will definitely be your sort of thing. In that regard it is my homage to David Gemmell:) Using the unique magic of Yos, including the glowmetals, on that scale was a real buzz. Back to dealing with multiple characters: I always try to maintain the focus of the story through a small number of key point-of-view characters. There may be many other characters introduced to support the story, or to give the setting the feel of the political landscape, but I try to have these experienced through the viewpoint of the key characters. I think it can even aid the tension in the story to have the motivations of these characters unclear – and that’s hard to pull off if they are the narrator. It’s also surprising how much you can convey objectively, without having to make them a PoV character. Still, I think it’s worth it to see the various sub-plots come into effect. It gives the whole thing a depth and complexity. Have you ever been frustrated by the Cast of Thousands? How do you deal with it? Kill them off? Limit their appearances? Tear up your draft? Fleshing out characters can be a lot of fun. One popular choice, particularly with horror/suspense writers, is to give the character a particular fear that plays into the story. For example they might have a fear of flying and the big confrontation with the glowing aliens from Mars has to happen on the outside of a racing spacecraft over Manhattan. Or they are afraid of the dark, but to confront the villain they have to go down THOSE stairs into the pitch black basement. This often works well, but can also seem a little contrived if the latter scenes are not woven together convincingly. But there are plenty of other options. One that is a bit of fun is to incorporate a superstition. This got me thinking about superstitions in general and I thought it might be fun for people to post their own superstitions or those of friends and relatives. Having something from real life like that adds a real element to fiction. In terms of my family, the one I remember most distinctly is one of my grandmother’s. She used to cover all the mirrors in the house during a thunderstorm. She also used to live in fear of birds flying into windows – it would mean that someone in the family was going to die. The one I experienced at first-hand was the Irish Catholic practice of dosing children liberally with Holy Water as they lay in bed ready for sleep. You cannot put a price on chasing away the nasty Devil. I kind of liked it actually. Dad used to get his holy water from the St Benedict’s font, and kept it in a little glass bottle. He would pour a bit of Holy Water into his hand and cast away. He had a good technique by the time I came along at number eleven. There is the old salt over the left shoulder ritual to hit the Devil in the eye if you spill the salt, but that’s never been too convincing for me. What’s the Devil care about sodium chloride anyway? For myself – I have one that I have never been able to shake that was passed onto me by my mother. If your ears are ringing, it means someone is talking about you. If it’s your left ear it’s something bad – if it’s your right ear it’s something good. You might say I live in fear of left-sided ear infections. This is totally crazy, and yet I can’t shake it. It has a spooky king of logic. If my tinnitus worsens I could be in for permanent paranoia. What superstitions do you have? Or interesting rituals – the more bizarre the better!